Use of the Vasco App Service is at the sole risk of the Subscriber. Neither Da Gama Maritime (DGM) Limited, nor the Agent, nor any lower tier data or service provider shall accept any responsibility for non-supply or for disruption to the Vasco App Service or for the accuracy or reliability of the information as displayed on the Subscriber's equipment, or for damages that are caused by the Vasco App Service, provided that the same is not a direct result of the negligence of DGM Limited, the Agent or any lower tier data or service provider and make NO warranty or representation, either express or implied, including the implied warranties of merchantability and fitness for a particular purpose, with respect to the Vasco App Service. Furthermore, neither DGM Limited, nor the Agent, nor any lower tier data or service provider warrant that the Vasco App Service will meet the Subscriber's requirements or that its operation will be uninterrupted or error free. The Vasco App Service is provided "AS IS" and the Subscriber assumes the entire risk when using it. It is the responsibility of the Subscriber to ensure that the vessel carries all relevant documents including electronic documents and publications as required by International and National Conventions and Regulations. 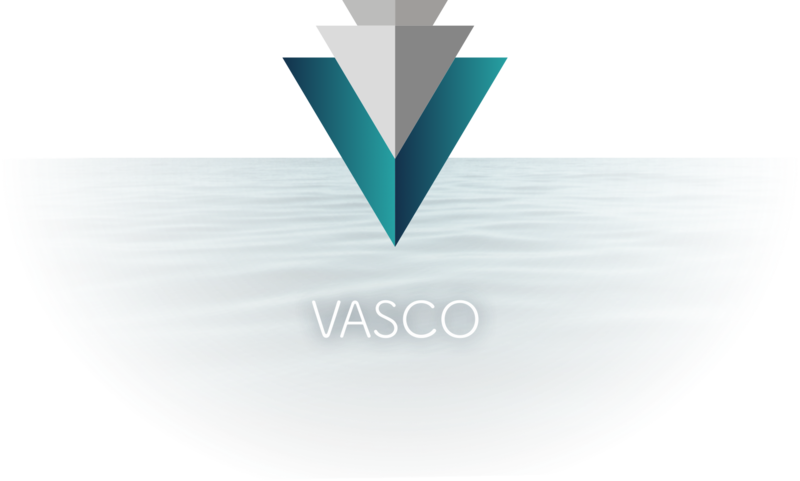 The information produced by the Vasco App Service is for use aboard the vessel for which this Subscription Agreement is valid and may not be copied, sold or otherwise distributed for any other purpose. This ADMIRALTY Notices to Mariners Bulletin (ANMB) is published by the UK Hydrographic Office (UKHO). The UK Maritime and Coastguard Agency accepts that both the paper and digital forms of the ANMB comply with carriage requirement for Notices to Mariners within Regulation 19.2.1.4 of the revised Chapter V of the Safety of Life at Sea Convention, and the Merchant Shipping (Safety of Navigation) Regulations, as updated. While every effort is made to ensure that the data provided through the Notices to Mariners service is accurate, the user needs to be aware of the risks of corruption to data. It is important that the user should only use the data on suitable equipment and that other applications should not be running on the user’s machine at the same time. Users should exercise their professional judgement in the use of data and also consult the Mariners’ Handbook (NP100) for further details. The user needs to be aware that there is a possibility that data could be corrupted during transmission, or in the process of display or printing on the user’s equipment, or if converted to other software formats, and is accordingly advised that the UKHO cannot accept responsibility for any such change, or any modifications or unauthorised changes, made by licensees, or other parties. Distribution of any software, components or other files contained in this software package, other than as instructed by DGM. Modification, de-compilation, disassembly, reverse engineering or translation of the Software. Removal of proprietary notices, labels or marks from the Software or Software Documentation. Inclusion of this software, or any component, within any other software or a development environment. The provision of navigational warnings from this service does not relieve Masters/Captains of their responsibility to monitor MSI broadcasts in accordance with the provisions of SOLAS.